With much of the rest of the West wallowing in drought, it was anything but at this year’s sixth annual North Fork Championships, with 2,000 cfs of raging whitewater on the Class V North Fork Payette testing the mettle of the world’s best. 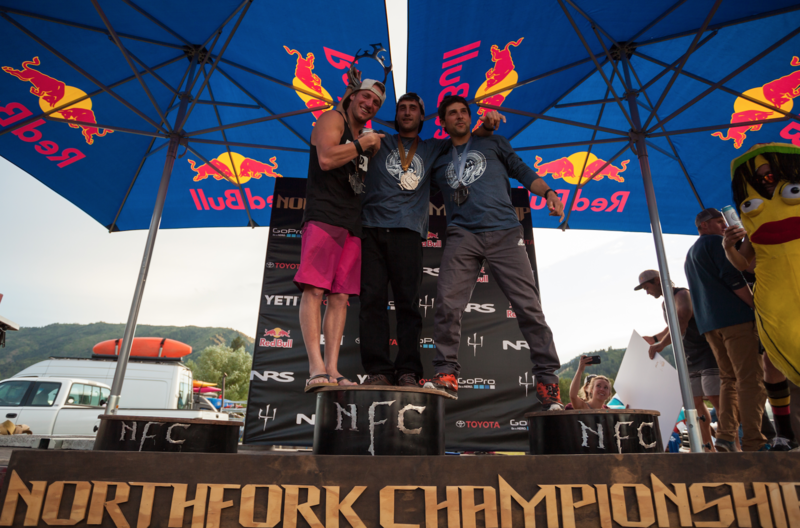 Made possible by its sponsors Redbull, Toyota, YETI, NRS, GoPro, Idaho Tourism, and many more, the event hosted one of the most challenging competitions for the world’s best whitewater kayakers. 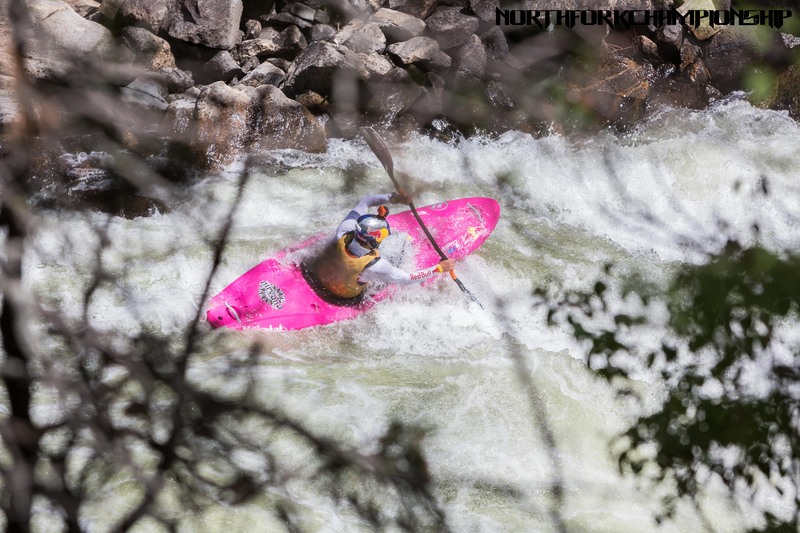 The course was on one of the toughest, most continuous big water runs in the state, with this year’s flow serving up a gauntlet of whitewater through such world-renowned rapids as Jacob’s Ladder and the hole-filled Golf Course. 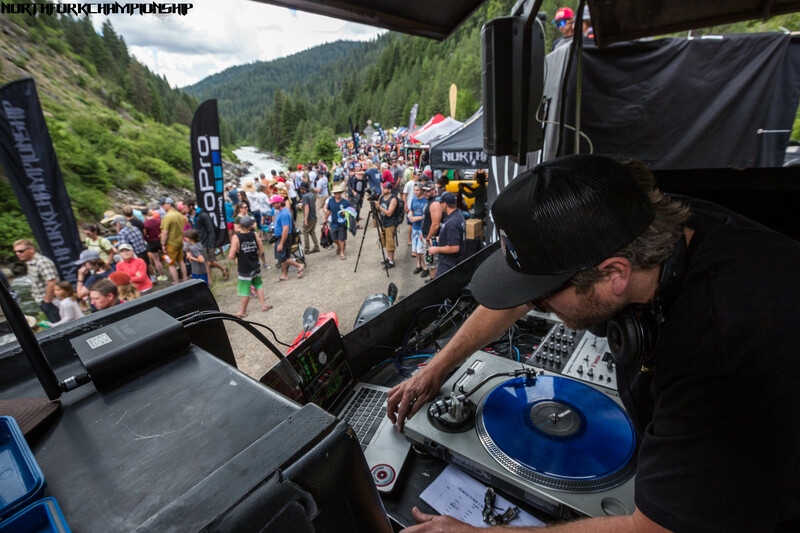 The hype and atmosphere surrounding the event was as raging as the water, as vendors and spectators lined the banks, and DJ Revolve and announcers sounded through the Toyota Tower of Power. 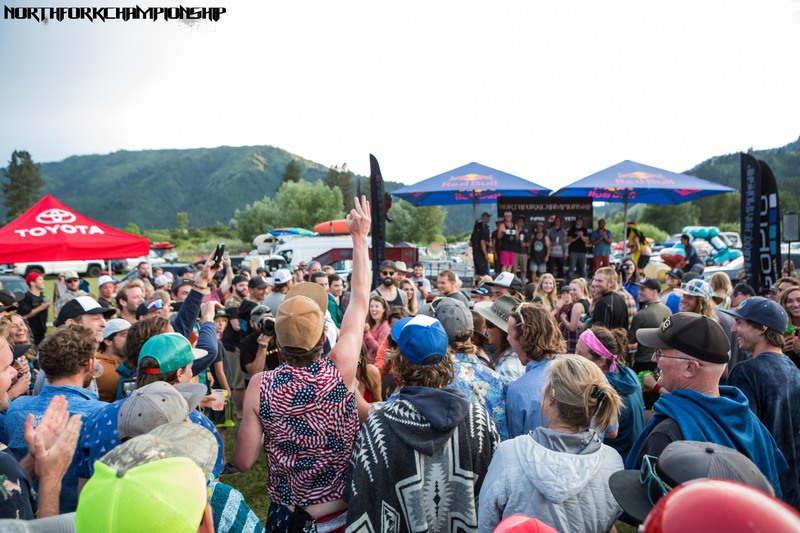 Amidst it all, competitors dropped in from the Red Bull ramp into the Giant Slalom course, comprised of seven gates through Jacob’s Ladder and Golf Course’s Class V+ whitewater. 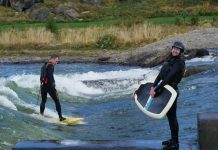 The gates forced kayakers into the meat of the rapids and into spots that even the most seasoned locals would cringe at. Hitting or missing gates meant some hefty time penalties. 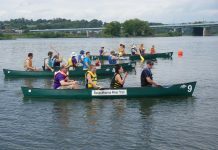 Regardless of performance, each kayaker finished grinning in grand appreciation of completing such a heralded whitewater section. 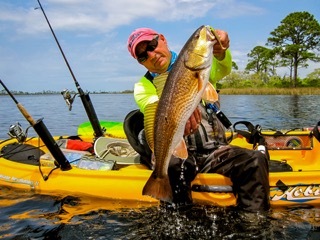 As to who won this year’s battle of big cajones, it was anyone’s guess as all kayakers laid down some solid times. When results came in though, it was ultimately Aniol Serrasolses who came up on top, sandwiched on the podium between his brother Gerd Serrasolses in second, and last year’s winner Dane Jackson in third just a second off the winner. With runs completed and winners announced, participants and spectators made like the river and raged themselves at the rousing awards party!